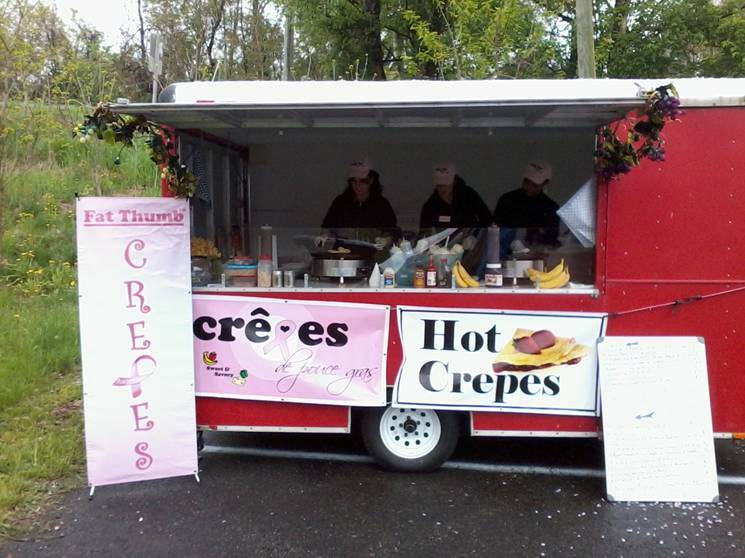 Crepes De Pouce Gras serves savory crepes on weekends at the Dale City and Occoquan farmers’ markets in Virginia, south of the beltway. The business is called “Crepes de Pouce Gras” which means Crepes of Fat Thumb in French. 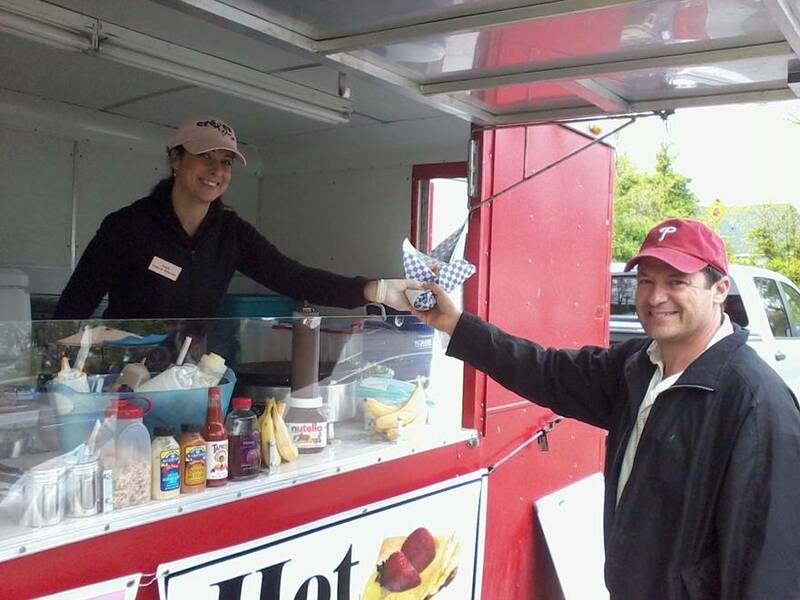 The owner, Michele Hirata who happens to have fat thumbs, uses her crepe business to support her handmade hat program (Fat Thumb) which helps hair-loss patients, mainly cancer patients, for free. Photos are copyright and courtesy of Crepes De Pouce Gras.